Green Tunnel a 100% Australian company, is passionate to support the transformation of our communities towards the reliance on cleaner, renewable energy solutions.We are a robust team of Sales Professionals, accredited Designers and Installers, reliable Financial Advisors and highly experienced Project Managers, who strongly believe that Energy Conservation and Profitability can be Mutually Inclusive. It is with this zeal that we continuously introduce innovative, sustainable and futuristic energy conservation technologies to our customers that very well translates to solid financial returns. We have developed a strong customer focused proposition emphasizing superior customer service both pre and post sale, quality components from world leading brands combined with highly professional installation using our experienced teams of Clean Energy Council (CEC) qualified electricians.We believe we stand out from our competition due to our dedication to a simple principle; we treat our customers as we would like to be treated and we supply world leading products which we stand behind for the long run. 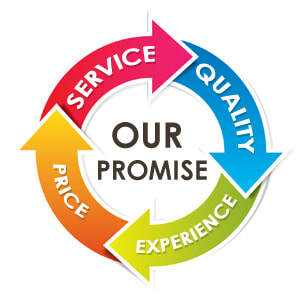 Consultative approach - We’ll conduct the sales process in an honest and consultative manner. We won’t pressure you into buying a system and we’ll provide you with all the material to make an informed decision about the best system for your requirements. Quality components - We’ll provide you with options for the best quality components available from manufacturers who have the track record of standing behind their products for the long run. Quality install - We’ll install your system to the highest standards in order to maximise the amount of electricity generated while taking into account your current and anticipated energy usage patterns. Communication - We’ll keep you fully informed from signup through installation. Your system will be installed within the agreed time frame and if there are issues, we’ll keep you fully informed. Ongoing service - Our team will take care of everything from installation through to ongoing service to ensure your system runs smoothly. We’re on standby in the rare event there is a problem and we’ll work towards a resolution in the shortest time possible.